For FOOD NIPPON 2016, we have been focusing on the Nansei Shoto Archipelago, Japan’s chain of islands that extend from southernmost Kyushu and have been known since ancient times as a passageway for various people, objects, and cultures. 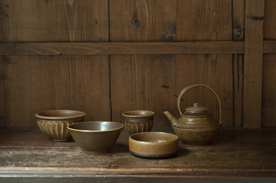 Through our events at HIGASHI-YAMA Tokyo, we introduce to you carefully selected ingredients and liquor from our visits to farms and workshops on the islands, as well as original tableware produced as a result of our exchanges with local craftsmen. Following our March event which featured the Amami Islands, and our June event which featured the Osumi Islands, our event beginning on Monday, September 5th will explore the food culture of the Miyako and Yaeyama Islands of the Sakishima Islands. 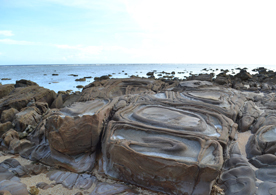 Due to geographical circumstances, the Sakishima Islands are associated in many ways to prehistoric Mainland China and Taiwan, as well as the Southeast Asia region. After being under the control of the Ryukyu Kingdom, a poll tax was assigned, which is known to be one of the most brutal taxes in the world. The islands’ predecessors, who lived through such harsh conditions, formed their own unique cultures on each of the islands. In the islands there are sacred sites called utaki in which only women who work to serve the gods may enter. These sites are places of worship for the gods existing within nature, along with the ancestral gods. In Aragusukujima, also known as Panarijima, you will find many utaki sites which are enveloped in sacred air, and you can find remaining forms of ancient Japanese beliefs. Each island is categorized as either a “tall island” or “short island” according to its shape. 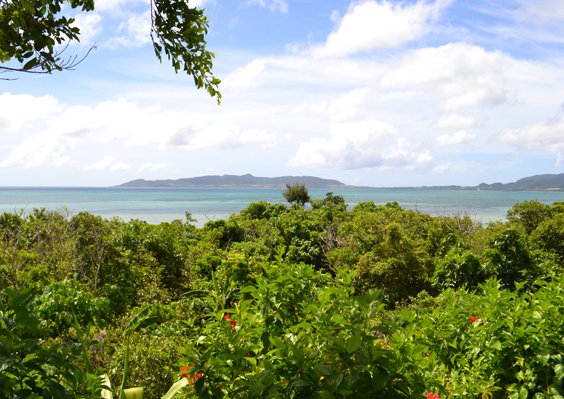 The main tall islands are Ishigakijima and Iriomotejima, with rivers and mountains extending to about 500 meters tall. 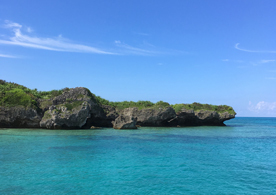 On the other hand, there are no big mountains and no rivers in short islands such as Miyakojima or Taketomijima, which are were formed by upheaved coral. Different styles of agriculture have been developed on each island due to each of their unique geographical features. In the water-rich tall islands, rice field farming is the main form of cultivation, while in the short islands, the main form of agriculture is plant farming. 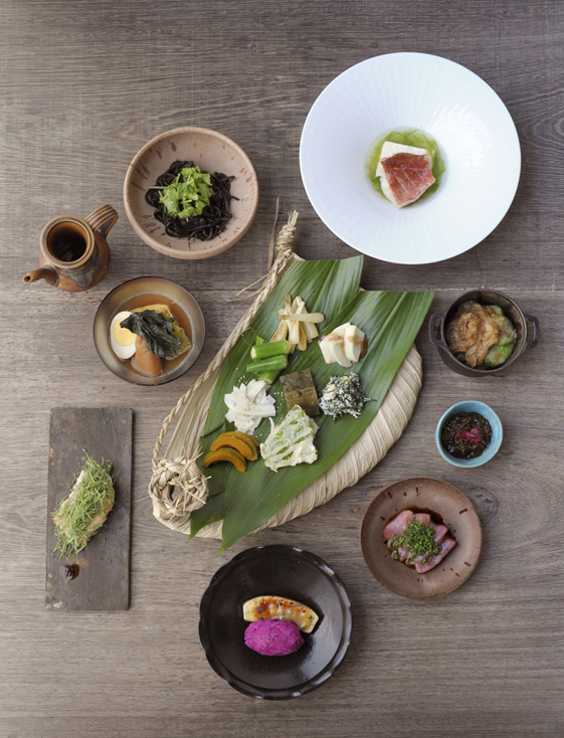 In the Sakishima Islands, people refer to food as nuchigusui, which means “medicine of life,” and the islands’ food cultures were likewise developed through the idea of ishokudogen, which refers to having balanced diets in which medicine and food are closely intertwined. 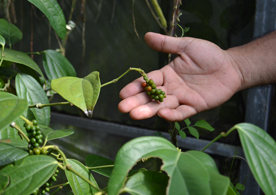 Among them, many herbs have been handed down through generations as wisdom of life. Herbs such as chomeiso (peucedanum japonicam), nigana (lxeris dentana), getto (shell ginger leaves), and ukon (turmeric) are used as folk remedies, as well as to season plates of food and add color. 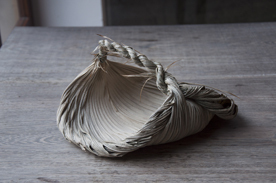 In Iriomotejima, we visited Atelier Kuru which is run by textile craftsmen Akiko Ishigaki and Kinsei Ishigaki. 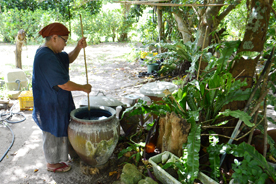 They grow ramie, musa basjoo, and indigo and dye fibers using natural plant-based dyes such as indigo and fukugi. Furthermore, they have restored festival costumes that were once lost, and are involved in the preservation of traditional techniques and the training of successors. 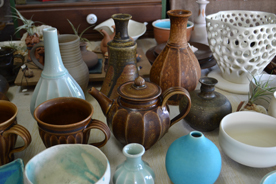 In Ishigakijima, we visited the studio of Dan Miyara, who has conducted repeated studies on the lost ceramic style known as yaeyamayaki and is trying to revive its unique form and style of molding. We also visited Kyoko Ogawa in Miyakojima, who creates using a plant of the palm family called kuba. Kuba is considered to be an object to which a spirit is drawn, and while it is a holy material that has been used for rituals, it is also used to make everyday objects such as ladles and fans. Through Ogawa’s works, we can feel the spirit of the island people and the profound way in which way they cherish nature. 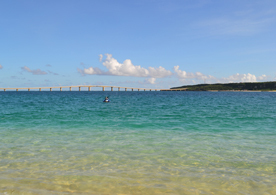 We hope you will come to enjoy the food and the many charms of the Osumi Islands. 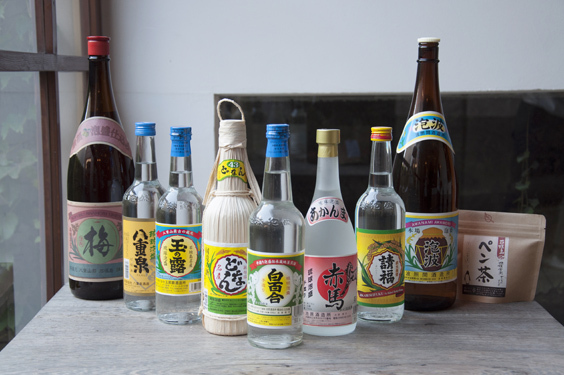 We will be serving six different kinds of carefully selected brands of awamori, including the well-cured “Awanami” from Hateruma Shuzojo and plum wine made with awamori from Seifuku Shuzo. Please enjoy these drinks along with your Special Dinner Course.